We’re excited to announce that for the third year running, London Playwrights’ Blog is a partner at London Writers’ Week. As always, this means we’ll be bringing you some exciting events as part of the week! You can check out the full programme of London Writers’ Week events here. In this upbeat and dynamic session with LPB’s Kimberley Andrews, you’ll explore different ways to find inspiration and generate ideas for scripts through practical exercises. You’ll then work on turning one of your ideas into a film premise, which you’ll get the chance to pitch within a small group for feedback. This fun, action packed workshop will give you the chance to flex your creative muscles and interact with other writers. You’ll leave with fresh ideas and some insightful feedback. Kimberley Andrews is a co-founder of LPB and heads up Writer Development, where she programmes and leads workshops both online and in person. She works as a freelance script consultant and a playwriting tutor at RADA for MA students. As a playwright, she has had work produced at the Birmingham Rep and has developed work with the Manchester Royal Exchange, Wolverhampton University and All the Rage Theatre. She has also written and produced comedy sketch shows on the London Fringe. Who’s it for? All levels are welcome. If you want an inspiration boost and to explore ideas for writing for film, come along! 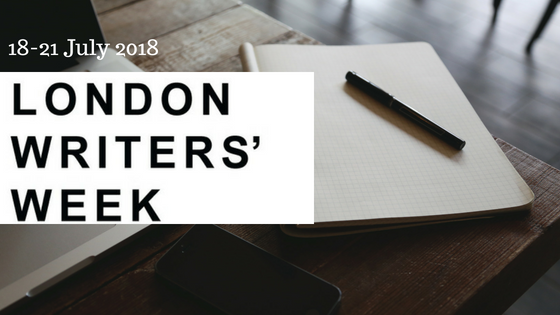 The Social Meetup for Writers with London Playwright’s Blog will take place directly after the workshop and we’d love you to stick around for that too! Check out our other London Writers’ Week events here.